As part of the ‘Operation Stonegate’ initiative, a 12 hour ‘Community Day’ will be held on Wednesday 4th January between 10am and 10pm, bringing together a number statutory authorities, partners and support agencies. The days are designed to support the residents of York Road. The New Year event follows the first ‘Community Day’ held on Tuesday 29th November where a variety of council services and partner agencies carried out extensive activity, including providing advice, information and support to residents and targeting enforcement issues where they existed. Essex Police and Essex Fire and Rescue Service will also be present, as will BID Rangers, Street Pastors, Family Mosaic and South East Alliance of Landlords (SEAL). A litter pick will also be carried out through the day in partnership with Essex Community Rehabilitation. Free micro-chipping will be offered to dog owners, supporting a recent change in the law that means all owners must have their dogs microchipped and their records kept up to date. Domestic Violence support services will also be offered through SOS Dove Project, as there is typically a rise in rates of domestic violence at this time of year. 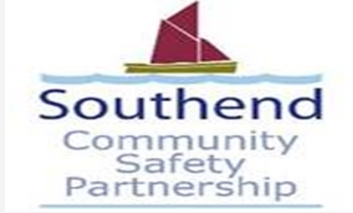 Cllr Mark Flewitt, Executive Councillor for Public Protection, says: “The first Community Day led by the SCSP was a real success with many agencies spending time with the residents of York Road, engaging and discussing solutions to any concerns they may have. I am very pleased to see the next event taking place so soon after. Inspector Bill Potter from Essex Police, says: “York Road has many challenges and it is currently the residential street of greatest demand to statutory authorities. There are some very happy well established and long-term residents, but it is also a transient environment accommodating many vulnerabilities. Simon Ford, Community Safety Manager for SCSP says: “We feel that it is important to keep up the momentum in this area and follow on from the success of the first day to support the residents of York Road through a range of support services and targeted enforcement action. The third Community Day will take place on Tuesday 28th February 2017.